Happy Wednesday! 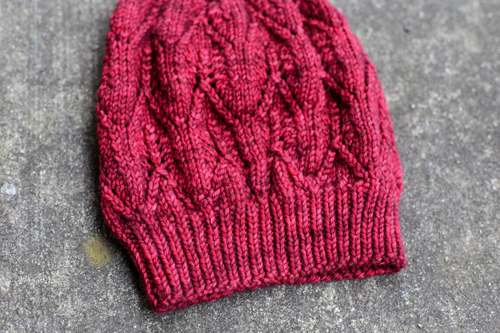 Today I am sharing another handful of finished knits! Back in 2011, Amanda and I did a Harry Potter craft swap to celebrate the release of the final Deathly Hallows movie. (Read more about that swap here.) We had so much fun making and collecting things for the swap, we decided to do it again! So, in the Summer of 2014, Amanda, Jacey and I decided to do a Harry Potter swap based on the first book. We each agreed to knit something related in some way to the first book. I was supposed to knit something for Amanda, and I'd receive from Jacey. 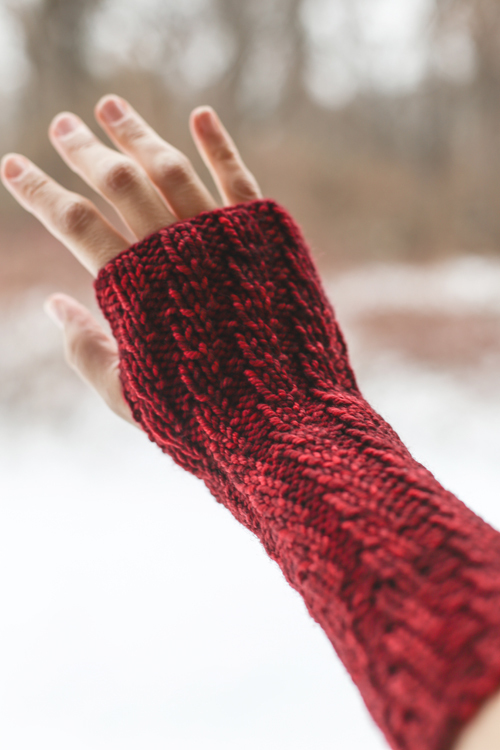 At the time, I had really just started to become more adventurous in my knitting, and was nervous about trying to make something for an accomplished knitter! I knew Amanda loved to wear hats, but didn't keep many of the ones she's knitted for herself. 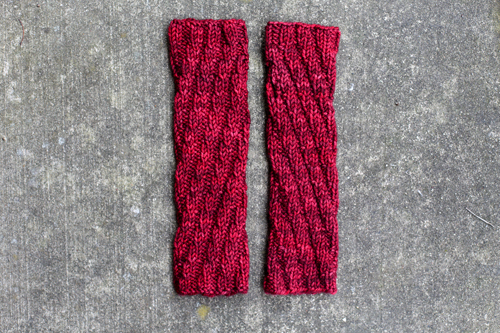 Since I knew I was attempting a bit of a simpler knit, I also wanted to knit a pair of arm warmers to go with it. I knew I needed to choose a yarn color that would tie in directly with the book, since my pattern choices weren't. I was thinking about how all the students wear scarves or sweaters that match their house colors. 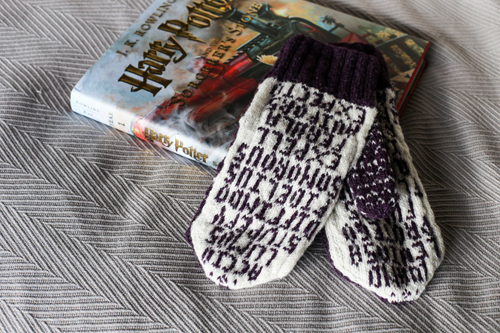 I think Amanda would be a Gryffindor, so I wanted to knit her something with a nod to that. There are tons of versions of the Gryffindor scarf online (the classic red and yellow stripe), but wanted to knit something a bit more sophisticated. 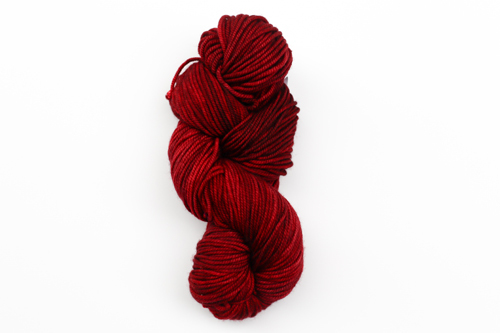 I chose this beautiful deep red Madelinetosh color (Tart), that has undertones of black, which seemed perfect. Whoa, these are all so beautiful. 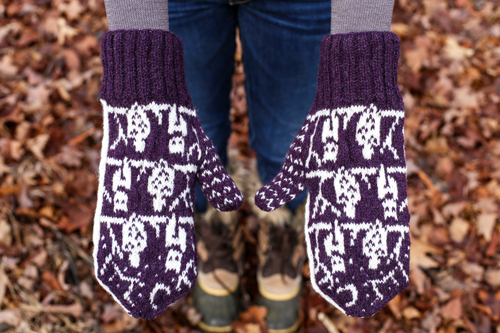 Those mittens are gorgeous. 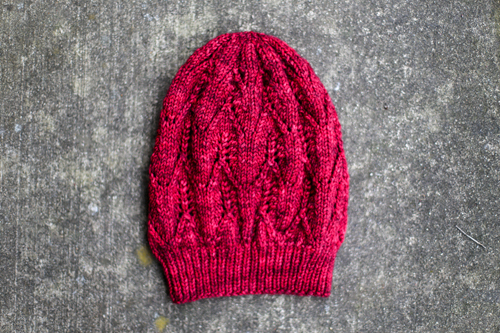 You're so talented - you're making me want to get my needles out. I love what you chose to knit for Amanda. That color is perfect, too! I'm glad you love the mittens. 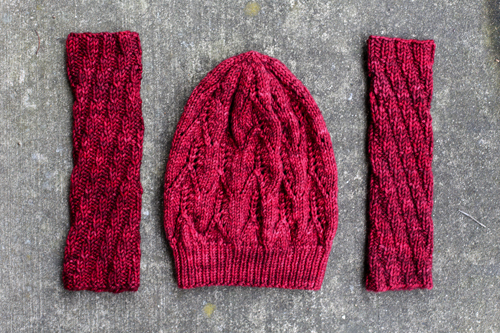 They were so fun to knit, and you are worth every stitch! You were so lucky to receive those wonderful mittens! It's nice to have knit friends.